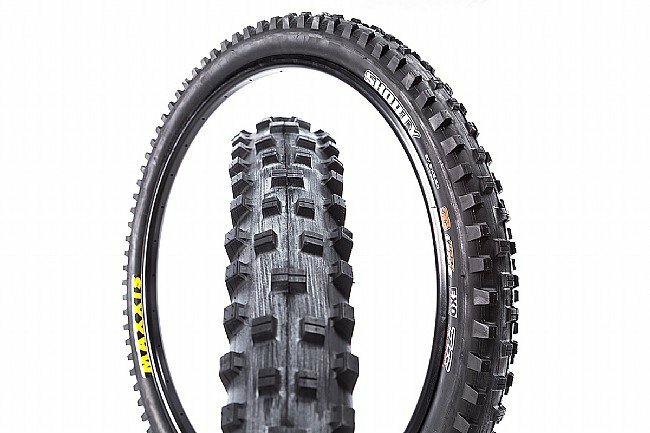 Optimized for wider 30-35mm inner width rims, the Shorty Wide Trail MTB Tire from Maxxis is a downhill favorite of Maxxis' World Cup racers. This single-ply version offers all the traction you need in a much lighter package. 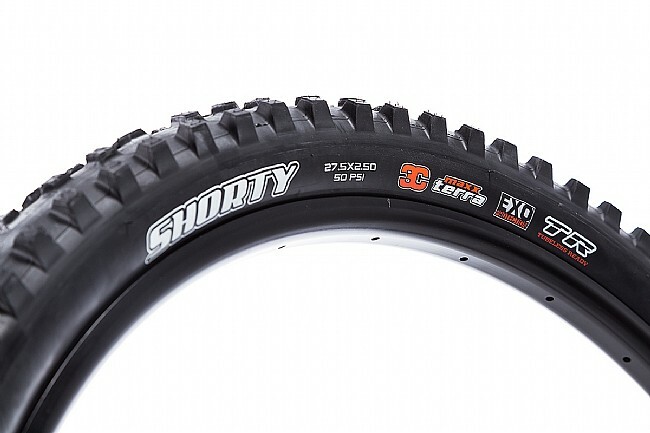 With Maxxis' 3C MaxxTerra rubber compound and Tubeless Ready casing, the Shorty is ready to conquer the mountain. The Maxxis Shorty Wide Trail 27.5" MTB Tire is available in one width: 2.50", weighing in at 965g. Also available for 29" wheels.